Founded by Fred T. Huntington, RCBS was born in a small 12 by 6 foot room in the back of a laundromat in Oroville, California in the year 1943. In the early days following the attack on Pearl Harbor, there was a tremendous shortage of bullet-making equipment. Huntington had been shooting and hunting all of his life and wanted to make sure he would be able to continue pursuing his passion, even with limited products in his reach. The first dies were named Rock Chuck Bullet Swage as they were specifically designed for making jacketed bullets to shoot the Rock Chucks in the Western United States, providing the acronym RCBS that the company would become known by in later years. In there early 80’s while I was in Gunsmtihing School we toured RCBS and Huntington’s Die Specialties. Fred Huntington guided my group and showed us an original set of his bullet making tools on display in his store. Reloading dies were almost an afterthought, when starting out it was all about making bullets. With over 150 employees, RCBS still stands proudly in Oroville, California today. Consistently releasing new and innovative products, RCBS has the precision engineering to stake the claim of a true original. Popular new Cartridge for 2014. Shot Show is just a few weeks away, Fred Zeglin of 4D Reamer Rentals LTD heads to Shot each year to make sure he has all the new caliber offerings for his clients. Last year is was the 26 Nosler and the 25-45 Sharps (SRC). So far the information leaks about new cartridges for 2015 have been controlled, no sneak peaks at what is coming from the factories. However, Fred says there are new wildcats getting some attention. All of these wildcats based on the 26 Nosler case will use the same headspace gauges, they are simply necked up, or in the case of the 25 necked down versions of the parent case. 6mm Grendel and 6.8mm Grendel are making waves too. Both of these are based on the popular 6.5 Grendel. If you’re a bolt action fan these cartridge are available in a configuration better suited to a bolt gun as the BPC (Borden Palmisano Cartridge) series, all using the same gauges. Look for 4D Reamer Rentals to add all these reamers and more in 2015. 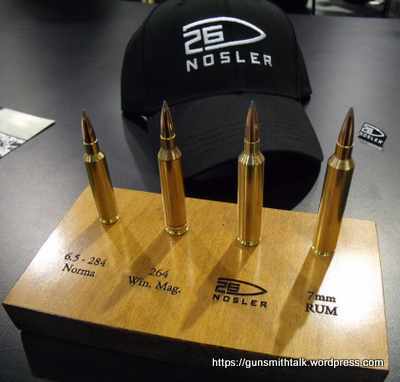 26 Nosler is a new cartridge design, it actually fills a niche in the factory cartridge world. Between the WSM cartridges and the RUM cartridges, the first being short action, the latter being full length magnum. So the 26 Nosler is in between. This may not sound like a big deal but it was a very good idea for a 6.5mm Magnum. When the 7mm or 300 Remington Ultra Mag is necked to 6.5mm it’s not very satisfactory. The case capacity is far overbore for the 6.5mm bore, so accuracy suffers and finding a good load is difficult. By reducing case capacity as Nosler has done with this new design they have brought the balance between bore and capacity back into a range where load development is easier and barrel life will be better than with the full length RUM wildcat such as the 6.5MM UltraCat originated by Z-Hat Custom back in 1999. Designed with a maximum cartridge O.A.L. of 3.340”, the 26 Nosler cartridge functions in a standard length magnum action with a 3.400″ magazine box. It is very similar in length to a 300 Winchester magnum case. This equates to a shorter bolt through and lighter weight gun than with the full length magnums like the 300 H&H or 7mm RUM. 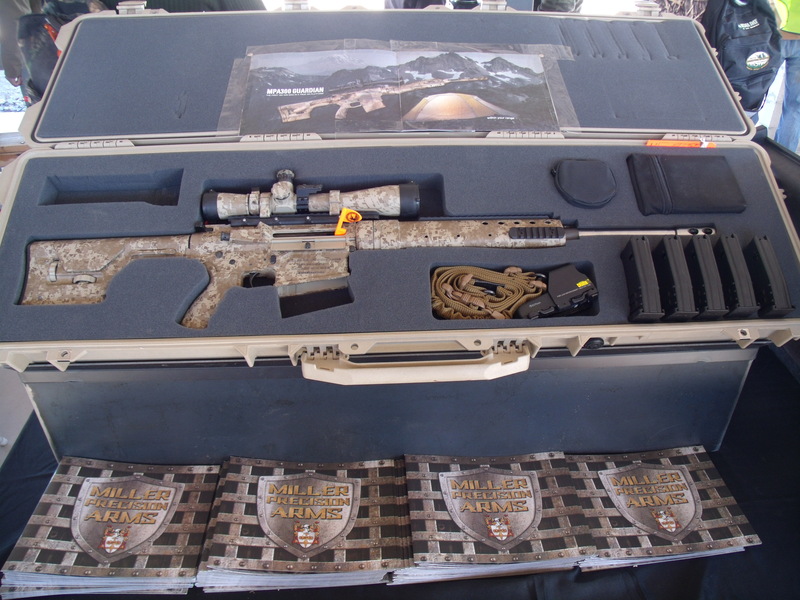 The 26 Nosler is capable of pushing a 130gr bullet at a Muzzle Velocity of 3400 fps according to Nosler. With that kind of velocity bullets must be made for the extra stress that velocity will bring to the jacket. No disrespect to Nosler but this is a job for a NorthFork Bullet if I ever saw one. 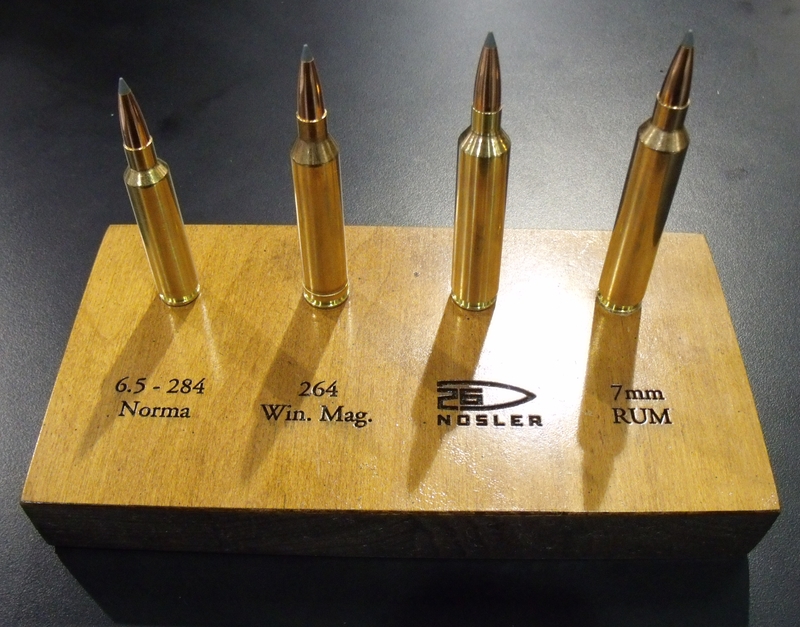 The 26 Nosler is a non-belted, 6.5mm centerfire rifle cartridge. With a useable case capacity of 93 grains of water, the 26 Nosler is speedy, it outperforms the 264 Win Mag by over 200 fps with a 130 gr bullet. Loaded with the 129gr AccuBond-LR, the 26 Nosler retains as much velocity at 400 yards as the 260 Remington produces at the muzzle. 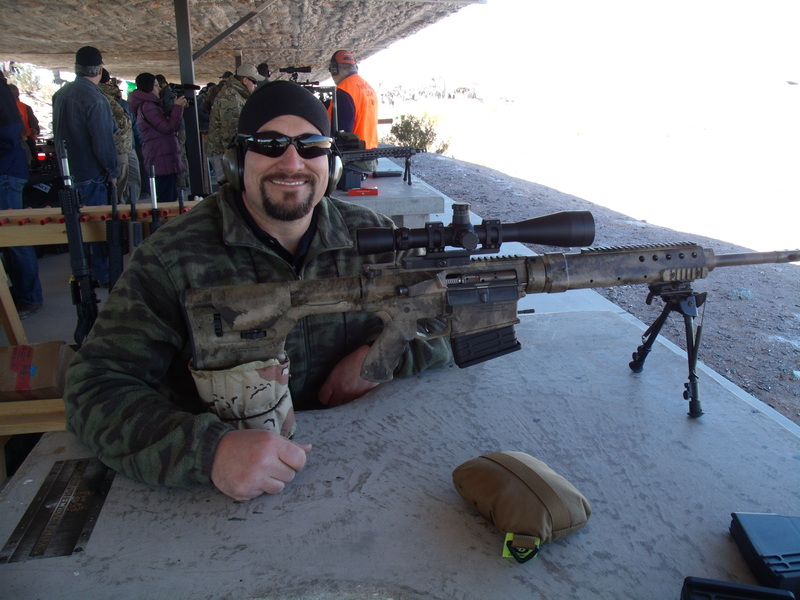 Zeroed at 350 yards, the 26 Nosler has a maximum point blank range (PBR) of 415 yards. It appears from the chart at the right that Nosler is figuring 5 inches +or- form zero to get to that 415 yard point blank range. Nosler’s choice of a 6.5mm cartridge is a good one, sectional density and high ballistic coefficients make 6.5mm a good bet. Retained energy and accuracy at long range is always good with a 6.5mm. This will be a good cartridge for wide open western hunting for deer class animals. Thumbs Up! This new variation on the Axis XP features the AccuTrigger, which is adjustable from 2.5 to 6 pounds. The rifle will come with a Weaver Kaspa scope mounted and bore sighted. This is a 3-9×40 variable scope. Axis barrels can be changed out just like the popular Savage 110 type barrels. In fact our friends at 4D Reamer Rentals LTD. tell us that the barrels are interchangeable. 4D offers Savage pre-fit barrels in more calibers than any other maker we have found. So you can swap the barrel on one of these rifles and have the caliber of your dreams. Rumor has it that 4D will be introducing a new barrel nut wrench, at the SHOT Show, for Savage smooth barrel nuts, like those found on the Axis series of rifles. Finally, Savage is offering Youth models on the new Axis II XP series. These rifles will have a 20″ barrel chambered for 243 Winchester. Two camo patterns will be offered: A woodland pattern and the very popular “Muddy Girl”. X-Bolt Eclipse Hunter from Browning as the name suggests is a bolt action. It features a matte blue finish on the barrel and receiver. Mounted in a gray laminated wood thumb-hole, monte carlo style stock, the barrel is free-floated. The magazine is a detachable rotary design. Other features include an adjustable trigger and 60 degree bolt lift.